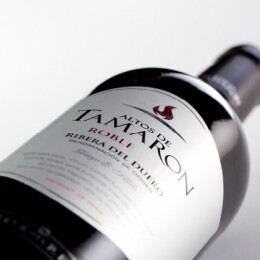 Altos del Tamarón Roble is made from Tempranillo (Tinta del País) that are carefully selected from vines grown on the clay and loam soils at Olmedillo de Roa surrounding lands and villages in Burgos. In the last 30 years, the Denominación de Origen Ribera del Duero has emerged to challenge the crown of Spain’s greatest wine region; Rioja. Located in Spain’s northern plateau, this region covers four Castile and León provinces – Burgos, Segovia, Soria and Valladolid. 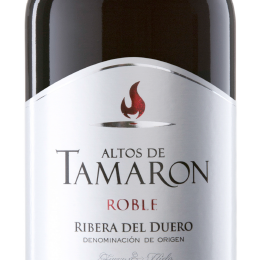 But, despite what its name may suggest, Ribera del Duero does not cover all of the villages along the River Duero. 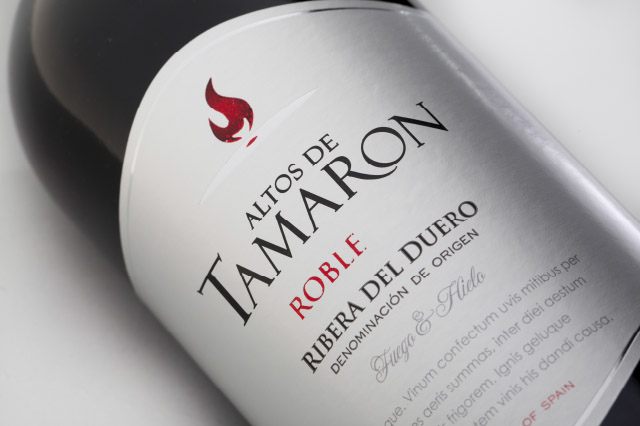 Ribera del Duero was granted its Denominación de Origen status in 1982 and today it has over 250 wineries and over 22,000 ha of vineyards. 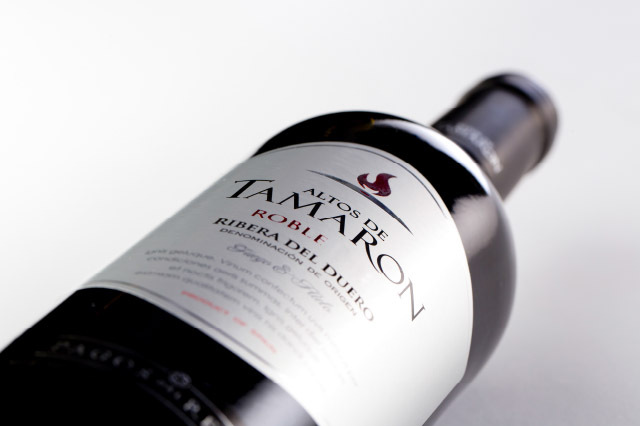 Most of Ribera del Duero’s production is red wine and only a moderate amount of rosé is produced. No white wines are permitted under the D.O. yet, but they will be soon. The region is characterised by its largely flat, rocky terrain. 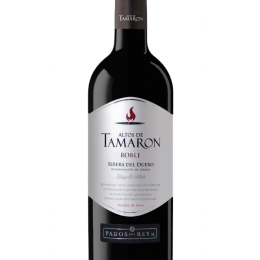 A wine of a deep cherry red with violet hues. A full aroma of cherries, plums and red fruits with fine touches of toasted oak, coffee and chocolate. 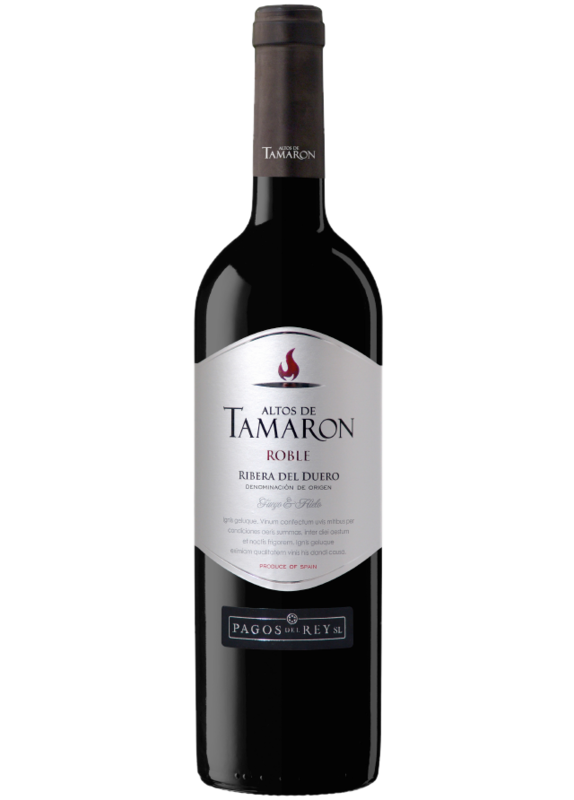 The palate is broad, with expressive fruit, a touch of vanilla, soft tannins and a pleasing long finish. Perfect with lamb chops, pâté and game. Its grapes are carefully selected and handpicked. After 2-day maceration at around 24ºC to ensure the optimum maximum aromatic potential, the wine spends 3 moths in American oak barrels. Finally, after bottling, it finishes its ageing process in our cellars for another 6 months.